The Qolsys Kit comes with everything needed to start with the most advanced security and home automation system on the planet. Additionally, it comes with 3 wireless door or window sensors and a wireless motion detector. In addition, it also has exciting new features like touch-less disarming using Bluetooth and a built-in glass break detector. Furthermore, enable them through powerful software that improves over time through regular software updates. Additionally, the award winning IQ Panel 2 is a 7” HD touchscreen with a built-in 5MP camera and multiple wireless radios in a clean, elegant, modern user interface. 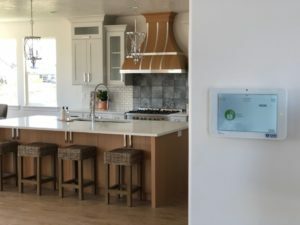 The IQ Panel 2 connects to an entire ecosystem of smart devices, giving you control over your entire home. 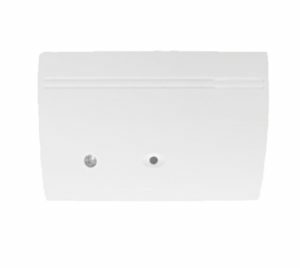 The Qolsys Wireless Door Window Sensor is a powerfully small door/window sensor that can be placed almost anywhere. Furthermore, It is made to work with the Qolsys IQ Panel. It also works with all 319.5MHz Wireless Security Systems. 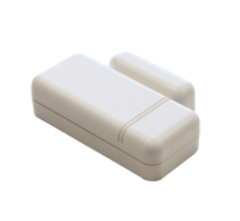 The sensor also comes in white or brown color and it’s easy to install. Buy Now. Gives you keychain access your system. Using our proprietary encryption technology encrypts signals sent to the Qolsys Panel while still providing backwards compatibility for legacy 319.5 systems. 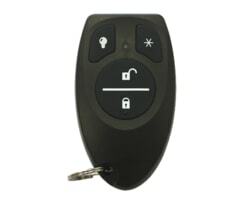 The Qolsys Encrypted Keyfob is disguised to look like a standard car remote and allows you to activate or deactivate your system within 100’ of the Qolsys Panel. Buy now. 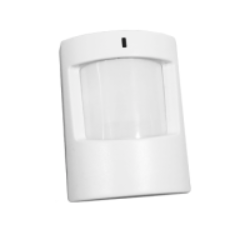 Qolsys Wireless Motion Detector is designed to be your last line of defense. Additionally, If an intruder manages to get past your other sensors, he cannot escape the IQ motion! Programmed to detect infrared heat in bodies over 40lbs. Furthermore Made to work with the Qolsys control panels. Buy now. The Qolsys Encrypted Wireless Glassbreak Detector protects you if an intruder tries to break in through a window. Using our proprietary S-Line encryption technology, it encrypts signals sent to the IQ Panel while still providing backwards compatibility for legacy 319.5 systems. It’s also triggered by the pitch and frequency of breaking glass. Buy Now. The Qolsys Encrypted Recessed Door and Window Sensor is our most powerful S-line sensor ever. In addition, It leverages the proprietary S-Line Technology to encrypt signals sent to the panel. The Qolsys Recessed Encrypted Sensor installs at the core of your door. Buy Now. 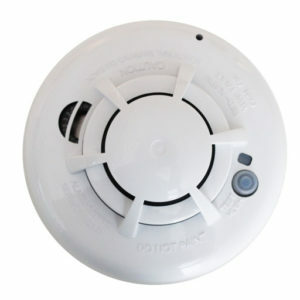 The Qolsys Wireless Smoke Detector is connected to your IQ Panel and monitored 24-7, whether your system is armed or not and protects your home and family from the threat of fire and smoke. It is easy to add and can be installed anywhere in the home. And because your system is always connected, you’ll be informed of the problems, wherever you are. Buy Now.